A sequence of steadily-smaller circles is placed within the drawing, such that each new circle goes into one of the interstitial places between previous circles. Random orientation. 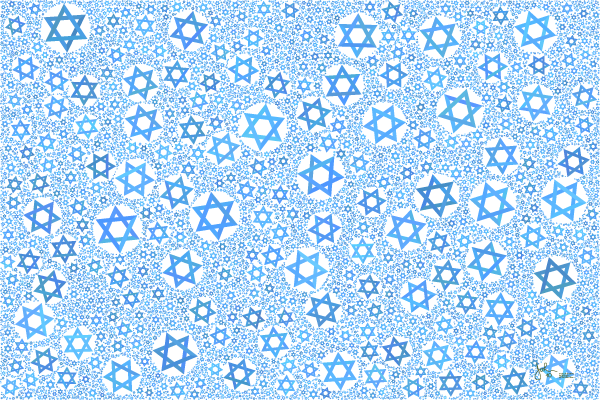 Here the circles have been replaced by the distinctive pattern of "stars of David". The colors are similar to the star and its background on the flag of Israel.